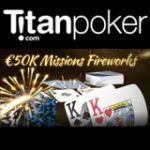 There are four Titan Poker iPad Air Freerolls running in every month at TitanPoker, the winner of each weekly freeroll win an iPad Air. The iPad Air New Depositors FR tournaments are restricted to new players that make their first deposit, get a tournament token and a 200% first deposit bonus up to €1,500. 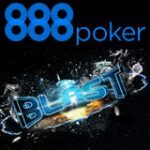 Depositors will also receive the Titan Poker Welcome Package with tournament tokens to the New Depositors Freeroll tournaments, New Player Races and free poker tools. 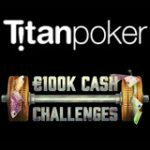 This special offer is only open to players who have not yet made their first deposit at Titan Poker, new players will get one tournament token to the Titan Poker iPad Air Freerolls. The iPad Air New Depositors FR take place every Tuesday, the winner of each freeroll will receive an iPad Air. 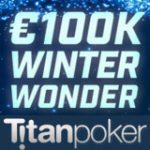 Download TitanPoker - get a 200% first deposit bonus up to €1,500. 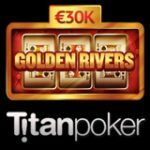 Get your token for the Titan Poker iPad Air Freerolls by making your first deposit of at least $20 at TitanPoker. Depositing players will receive their tokens the following Tuesday after making a deposit. 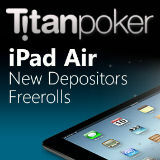 Players can register for the Titan Poker iPad Air Freerolls in the lobby by clicking on the Special Offers tab. 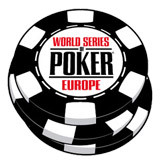 Qualifying players will be issued their tournament tokens on the day of the tournament and are required to manually register for the freeroll. Weekly Cash Rewards get up to $20 cash back. 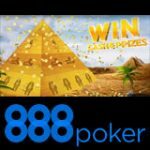 Download TitanPoker and claim your welcome package, remember to use bonus code WAP to be eligible for the bonuses.